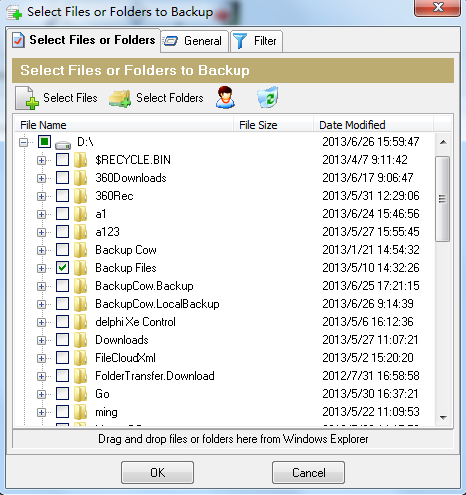 Backup software has played an important role in modern society.It contains easy and compelling features that everyone will accept .If you are still looking for free backup software,Backup Cow is one of the best choice for you.Backup Cow can automatically backs up and synchronizes selected files and folders with an external backup device,such as hard drive or USB.With Backup Cow,you do not have to worry about the loss of data because it can automatically accessed again immediately. Free Trial Download ! Unlike other backup devices,Backup Cow occupies very few space of your laptop or mobile phone,while it allows you to backup unlimited size files to another PC via LAN or remote distance. 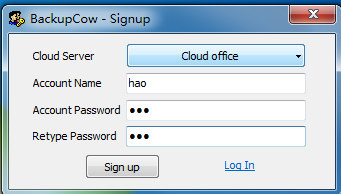 Different from other backup devices,backup cow provide secure backup service.Before you backup any files to another PC,you can set up a password .Within password,anyone else could not enter your backup cow and could not operate any files in your PC.Data will be protect by Backup Cow. 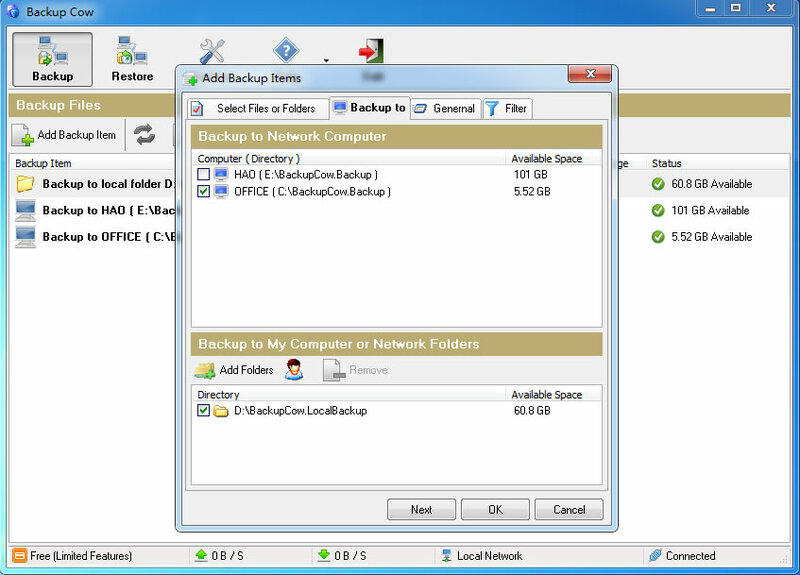 Besides the above features,Backup Cow allows you to build private cloud in office and at home.Backup Cow offers self-repairing cloud with a dynamic server(master node).Second,cloud user can decide whether they share their under-utilized disk space as cloud storage or no.With private cloud storage,you can gain unexpected huge disk space for you to store data.So,How to achieve that? Notes:Please notice that both Backup Cow client and server should be operate at the same time. A father John,whose daughter is two year old now.He takes photos and videos everyday in order to memory his daughter's growth.Day after day,there are thousands of pictures and videos in his mobile phone.He is depressed that the disk space is getting more and more limited.Thanks to Backup Cow,he can build a private cloud storage at home.Now,he can store all his daughter's photos by using private cloud.Also,his family can also see the adorable daughter's growth by joining at the same cloud. A manger, Tom,who has multiple files and data every day.He had to face huge amount of files so he felt depressed sometimes.He heard that private cloud is very popular nowadays,so he decided to set up a private cloud storage at office.He praised Backup Cow is a good helped.After creating a private cloud ,his work become much easier and more convenient.It is no longer to worry about the disk space was full because it has powerful ability to store data. In modern society,more and more information we receive and larger storage are needed .Traditional devices such as USB and portable hard drive can no longer satisfied us .Thanks to Backup Cow,more and more people can get unlimited and secure storage in your PC.How?You surely have heard a new word-----Cloud storage. Cloud storage is one of the emerging technology ,which provide huge space for you to store or restore your own data.It follows that we should catch up with modern pace of the time,try Backup Cow and you will be surprised by the amazing functions!